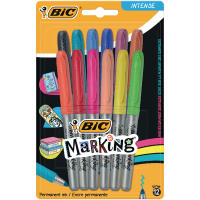 These Bic markers contain vibrant permanent ink for intense colour marking on most surfaces. 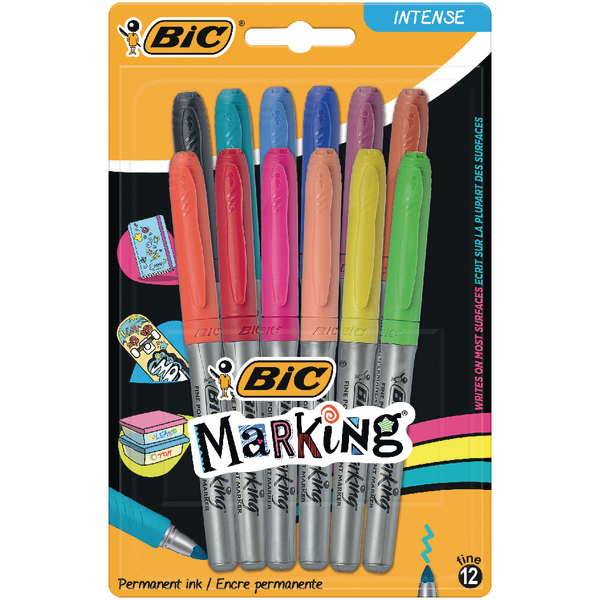 The fine 1.8mm felt tip writes a 0.8mm line width, ideal for signs, displays, labelling and more. This assorted pack of 12 contains black, blue, red, light blue, light green, purple, turquoise, orange, yellow, peach, dark orange and brown.